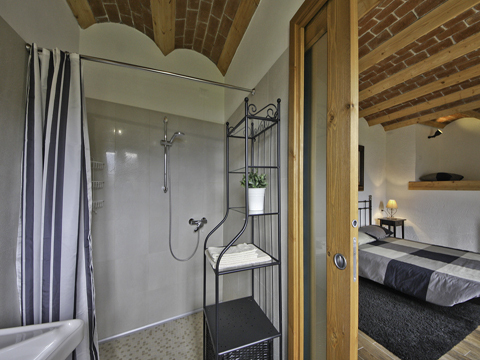 Recently renovated farm hotel Agriturismo Crotto di Somana with spa (wellness centre) in a beautiful old structure in Mandello del Lario with great views of the surrounding mountains and Lake Como. 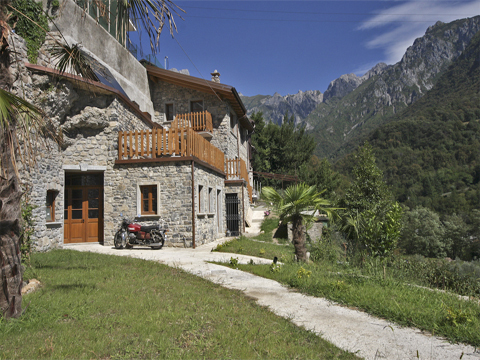 Agriturismo Crotto di Somana is an old Crotto with a natural rock cave, typical of the mountainous regions of Lombardy, and especially in our area of Lake Como.Surrounded by greenery, it offers a magnificent view of the mountains and the lake and offers a number of amenities that make it an ideal place for a holiday in nature. From Somana you will find a choice of different walking trails, ski-lovers will appreciate the nearby slopes (15 km) and motorcycle enthusiasts will have the opportunit to visit the museum and the factory of Moto Guzzi. 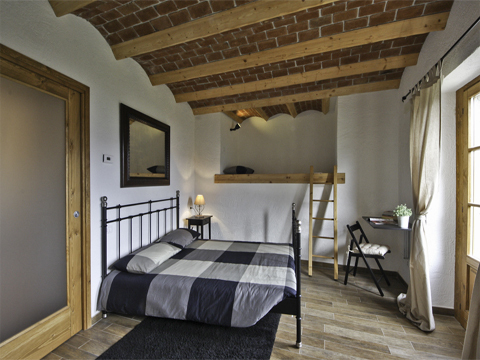 The farm is suitable for up to 8 people and consists of three bedrooms, two triple rooms with double bed and one single bed and one with a sofa bed. 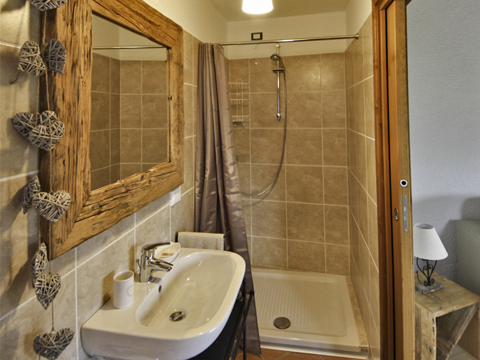 Each room features quality furnishings, a private entrance, a bathroom with shower, air conditioning, TV, and Internet access. Breakfast is served in a large dining room with fully equipped kitchen. 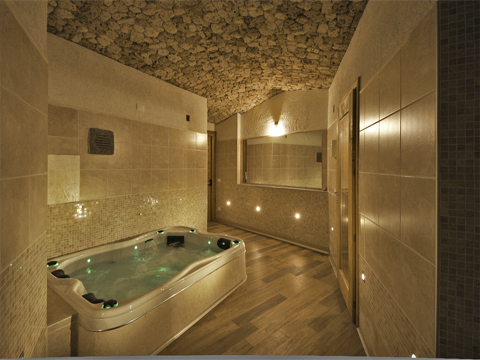 Agriturismo Crotto di Somana also offers a very impressive wellness area in a re-developed Crotto, which is equipped with jacuzzi, sauna and aroma shower. 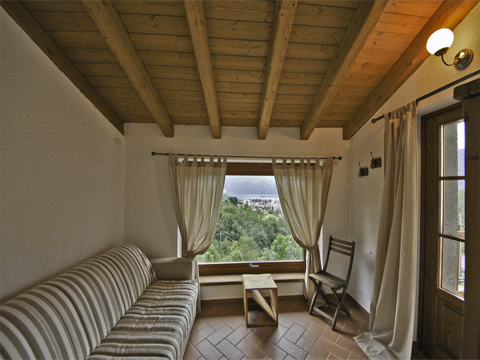 Solarium / terrace, private parking, garden, park with olive trees and animals. 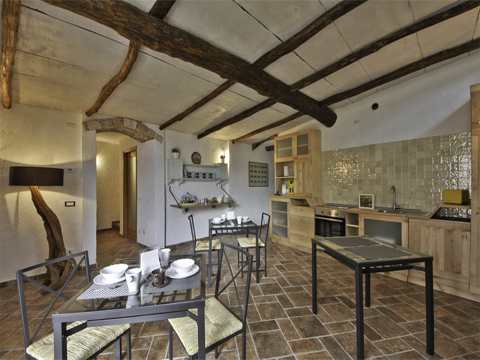 TIP: The Agriturismo Crotto di Somana can also be booked as a whole unit! 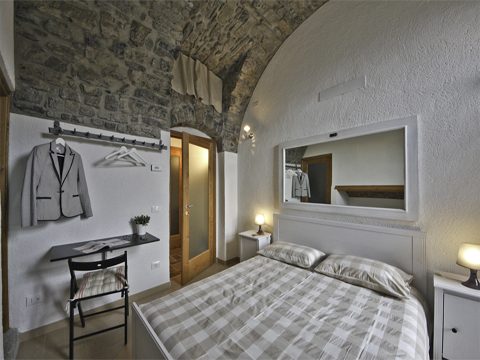 This holiday apartment is offered on behalf of the owner of Agriturismo Crotto di Somana in Mandello del Lario, partner since 2013. You pay your rent safely to Holiway GmbH and we regulate the payment with the landlord. When booking, you can choose between convenient payment methods.